Staying true to the standards of Hunter Valley restaurants, Legends Grill at the Vintage clubhouse offers a dinning experience you won't forget. Our experience at Legends started off quite slow, as the wait for the drinks was a tad bit longer than usual, and the kids were getting impatient. The delay for the mocktails we ordered could be justified, as they were coming from the bar situated in the lobby; but the lemonade off a bottle should not have taken so long to be brought to us. We were in two minds if we should complain or not as we only wanted to have a pleasant family dinner. The waitress who served our table was extremely friendly and polite that we decided to let it go. 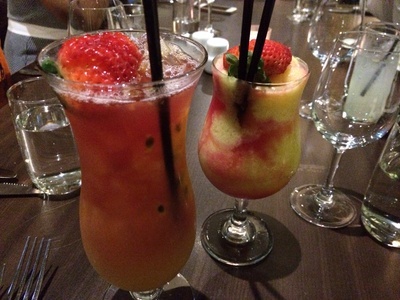 The mocktails whisked up for us came late, but were of a top quality in terms of taste and presentation. With the drinks putting the bar up high again, we were excited to study the menu. The menu was a bit expensive, as one would expect from a restaurant of such calibre, offering a wide range of modern Australian cuisine. The Grill offers a variety of criteria when it comes to their beef dishes. Firstly, you are given the choice of cattle breed then what they are fed when it comes to choosing your dish. The serving staff are quite knowledgeable about the dishes they serve, and they're happy to explain the menu to you. The main meat eater in our group ordered the Angus Reserve, a 300g Sirloin Steak ($44.00), which the menu explains is of the grain fed variety. This dish was ordered with mash and hot English mustard. The steak was perfectly cooked as per our request. 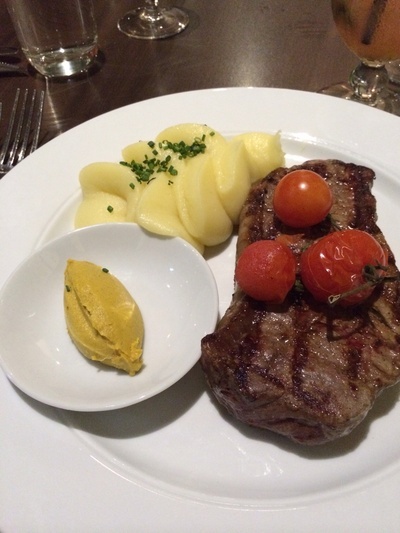 The mustard (although somewhat wasabi like) complimented the steak and the mash. 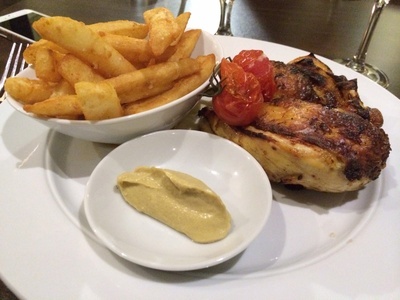 The second choice at the table, also a meat lovers delight was the Cape Grim ($45.00). This dish comprised of 300 grams of scotch fillet, of the naturally pastured variety of meat with mash and béarnaise sauce. This dish too proved that the chefs at the Grill knew exactly what they were doing. 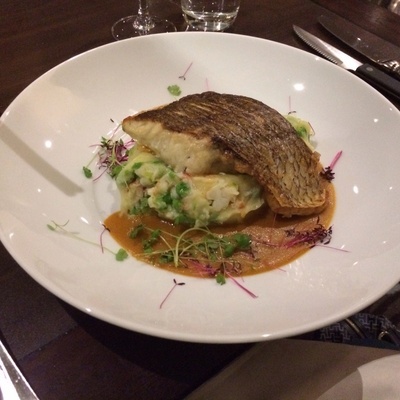 If you are not a big meat eater like me, I would recommend the pan roast barramundi ($38.00). The dish that came with a prawn, potato mash; I assumed is seasonal as it did not appear in the online menu that we diligently studied before our visit to the Grill. So be advised, even if you chose off the online menu before your visit, you might find a couple of surprises in the menu when you are actually at Legends Grill. 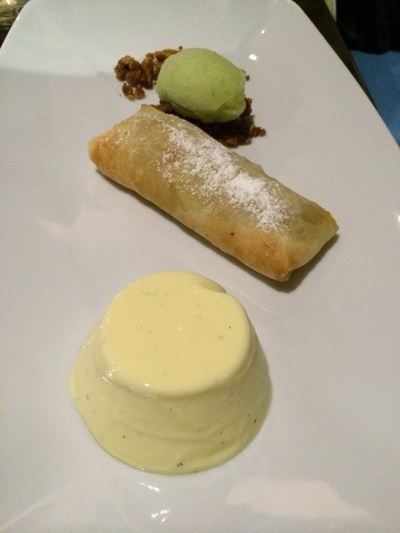 The highlight of the meal for us were the eye and taste bud pleasing desserts, which we ordered. Coconut crème caramel, mango sorbet, and mango coulis ($14.00) - the trio on a plate is highly recommended, and so is the dark chocolate mousse. 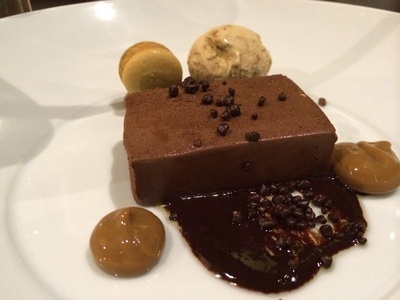 The mousse came with a delicious side of home made ice cream, together with a salted caramel macaroon. 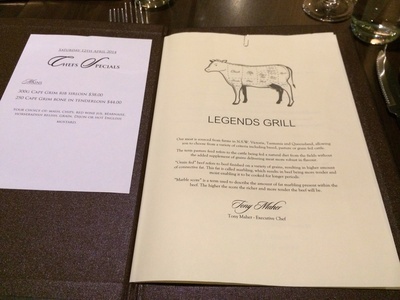 Though the start was a bit slow on our visit to Legends Grill, yet on the other hand this is a place I wouldn't mind visiting again for the food is capable of excusing all other short comings you may find there. 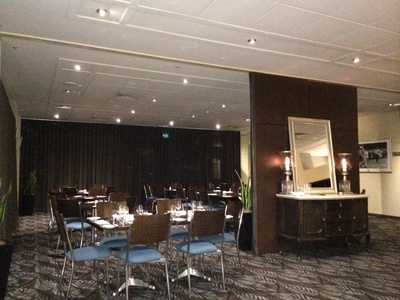 Why: Good food, and the bar is close at hand.